Given the outlook for interest rates, analysts seem bullish on this space. 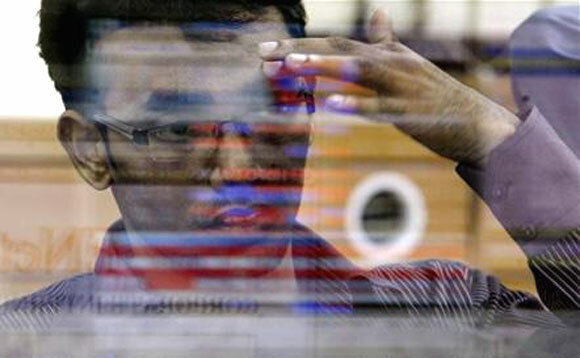 It seems like a late reaction by the markets, especially the interest rate sensitive stocks, to the drop in inflation to 41-month low level of 4.89 per cent that has rekindled hopes of a rate cut by the Reserve Bank of India (RBI). Headline inflation has now come within the RBI's comfort zone of 4 - 5 per cent for the first time in almost three-and-a-half years, data showed Tuesday, fuelling market hopes for more interest rate cuts to revive economic growth. The central bank has cut rates thrice this calendar year (CY14) - 25 basis points each time with the market participant's fine tuning their investment strategy accordingly. 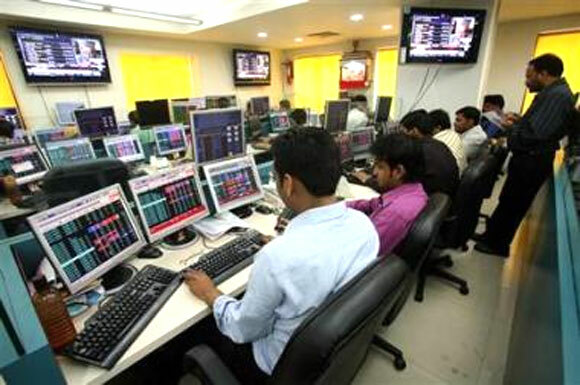 Reacting to the development, the S&P BSE Auto index, S&P BSE Bankex and S&P BSE Realty index rallied 2.5 per cent, 2.7 per cent and 2.9 per cent respectively in intra-day trade on Wednesday, as compared to around 2 per cent rise in the benchmark indices - the Sensex and Nifty. "Although the central bank's guidance remains cautious, we believe that that the flow of macroeconomic data - continued downside surprises in inflation, a more benign current account, and weak growth indicators - is creating room for further monetary easing in the coming months," note Rahul Bajoria and Siddhartha Sanyal, analysts at Barclays. "We expect the repo rate to be cut by another 25 basis points by mid-2013. Moreover, we think the likelihood of further rate cuts (say, another 50bps) in H2CY13 has risen significantly," they add. Add Upasana Chachra and Chetan Ahya of Morgan Stanley: "While the RBI has cut policy rates by 75bps since the beginning of this year, we believe that it will take a while before these policy rate cuts can be fully transmitted to reduction in lending rates. We expect RBI to cut policy rates by a further 25-50bps by end F2014 and expect that market oriented interest rates will decline by 100bps." The liquidity-driven market rally across the globe has mostly been fuelled by foreign institutional investors (FIIs), who have pumped in nearly $12.6 billion in the since January 2013 till date. But will this continue? Says Richard Gibbs, Global Head of Economics, Macquarie Research: "The various central banks can be expected to maintain their liquidity drive until there are cumulative signs of a narrowing in the output gaps and a reduction in the risk of deflation. Foreign investors are now firmly focussed on the major economies where central banks are aggressively pursuing growth-orientated (reflation) policies." Given the rally in the overall markets, especially the rate sensitives and the outlook for interest rates, analysts seem bullish on this space. "We are quite positive on the markets and believe that the central bank will cut rates going ahead since the inflation trajectory is now trending down. We are selectively positive on banks like ICICI Bank, Federal Bank, Punjab National Bank, State Bank of India, Union Bank. Among the autos, we like Maruti Suzuki, Mahindra and Mahindra. Each of these stocks has at least 20 per cent upside potential from here on over the next one year," says Suresh Mahadevan, MD and Head of Equities, UBS Securities (India). Nick Paulson-Ellis, India Country Head at Espirito Santo Securities says in a recent report that a further moderation in WPI inflation in April-May is very likely. "We think manufacturing inflation will continue to average a modest 4 per cent year-on-year in FY14, even if global commodity prices do not correct materially from here," the report suggests. LIC Housing, Oriental Bank of Commerce, Federal Bank and Max India are among their top picks. "Rate sensitive and banking is the space currently to be in for the short term. Among the large-caps, HDFC and HDFC Bank look very interesting. 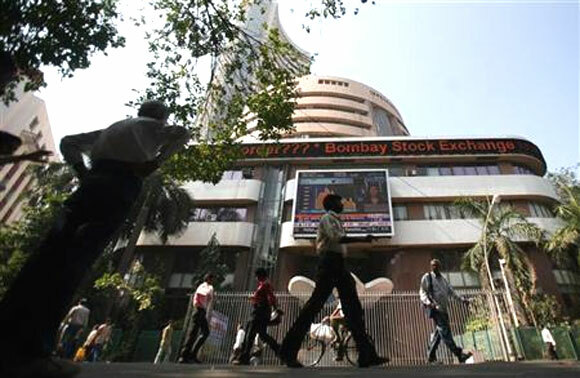 Both have created fresh new lifetime highs and we believe for another 5 - 7 per cent upside is not ruled out in the near term," points out Navneet Daga, derivative analyst, KR Choksey Securities. "From the real estate pack, HDIL and Unitech look good for decent upside. Tata Motors has added longs in today's trade and can appreciate to Rs 320 in the short term, while Maruti Suzuki is a buy on dips. It can move up to Rs 1,800 levels," he adds.